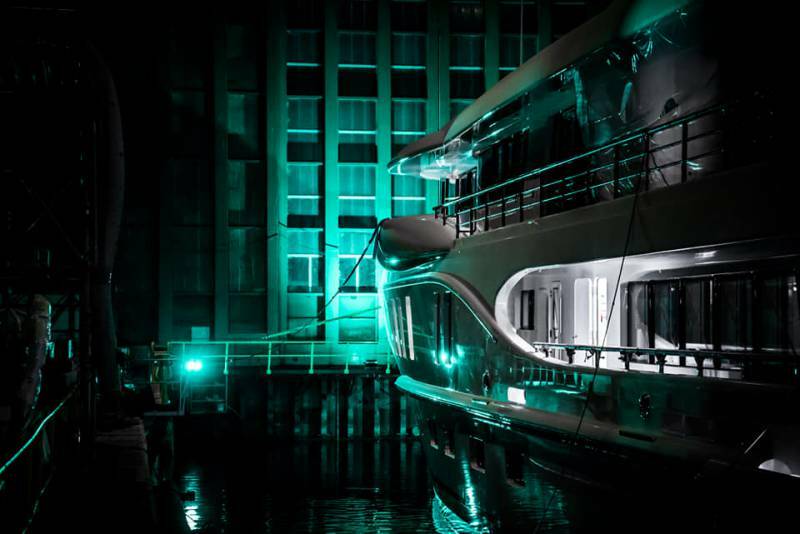 Dutch yacht builder Amels has unveiled its first Amels 220 superyacht, Aurora Borealis in Vlissingen. 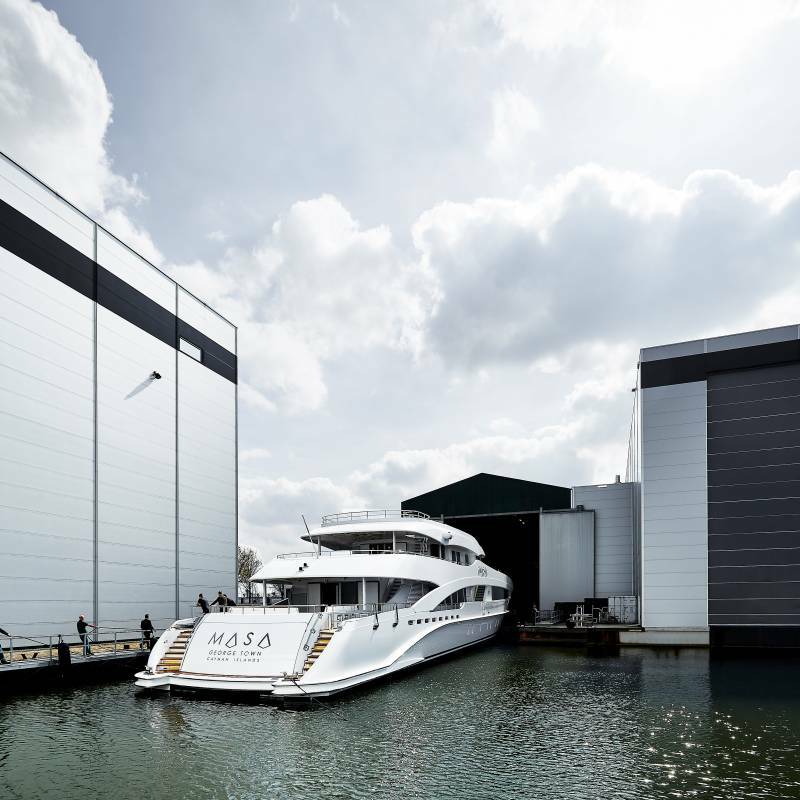 Previously known as Project Waka, the 67.1-metre yacht is to become the first unit out the yard’s new Limited Editions motor yachts line 220. 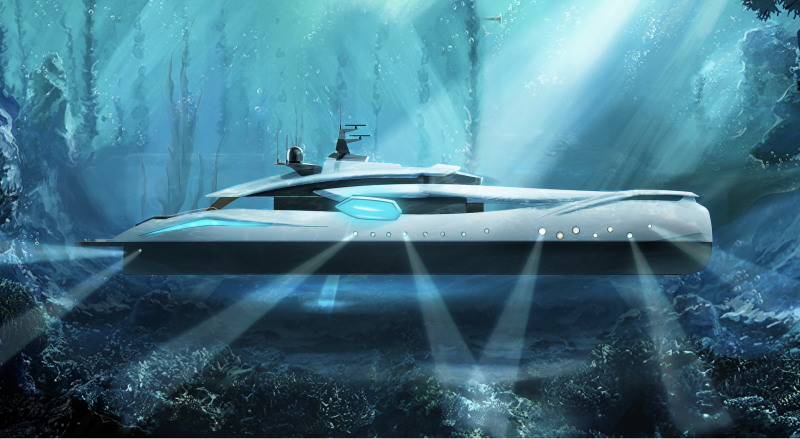 Tim Heywood, a designer responsible for the whole Limited Editions portfolio with Amels, has trademarked the vessel with extended decks and a 65-square-metre swim platform and beach club area. Still, as a hallmark of Amels, the yacht is promising to provide highly efficient cruising experience relying on the expertise of the entire Amels fleet. The project was overseen by Antoine Larricq from Fraser, representing the owner in terms of interior design. The interior concept was developed by Winch Design. 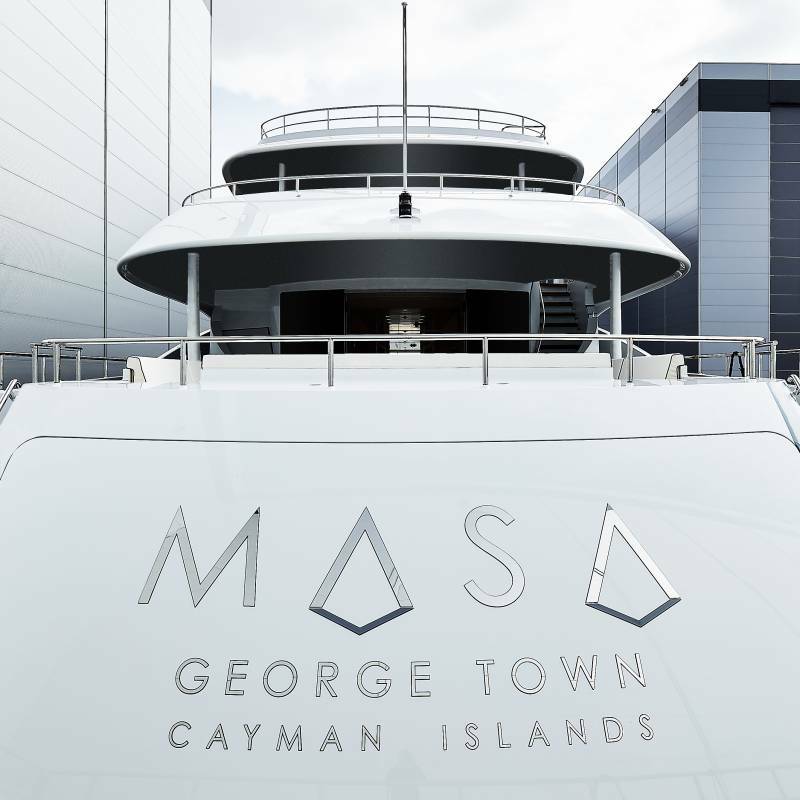 With interior volume of 1,500 GT, her interiors of nearly 1,150 square metres feature seven luxury guest suites, able to accommodate up to 14 guests, along with 15 crew members. The yacht is fitted with stern garage capable to store two 8-metre tenders and variety of water sport toys and exploration craft. Aurora Borealis is reported to be fuel efficient, with her Full Displacement Hull Form. She will reach her maximum speed at 17 knots, cruising comfortably at 15 knots with the power of Caterpillar engines. The yacht is scheduled for delivery in summer, during the Mediterranean yachting season. She represents an evolution of the Amels 212 model of which three units have been launched since 2011. Meanwhile, the interior concept by Cristiano Gatto celebrates the lineage of Masa’s predecessors. Fresh and elegant décor combines light colours palette with silver. The guests of up to 12 people will find accommodation within five lower deck suites and a master stateroom on the main deck, accompanied by nine crew members. Three lounges and three dining rooms, a bar and a top-deck open-air Jacuzzi will be also found at the guests’ disposal. Greek yard SSH Maritime has completed a three-month refit on 51-metre explorer yacht Aspire. The works of reported €4,000,000 included major exterior and interior renovations. Built by Chinese yard Penglai in 2007, the yacht was first christened Etra. Renamed Aspire in 2018, the yacht was in need for solid refit. Refit works began in August 2018, covering a wide range of issues, including teak replacement, full refit of exterior and interior spaces and hull and superstructure repainting. The works also included an extensive overhaul of the interior, with fabrics and upholstery renewal. 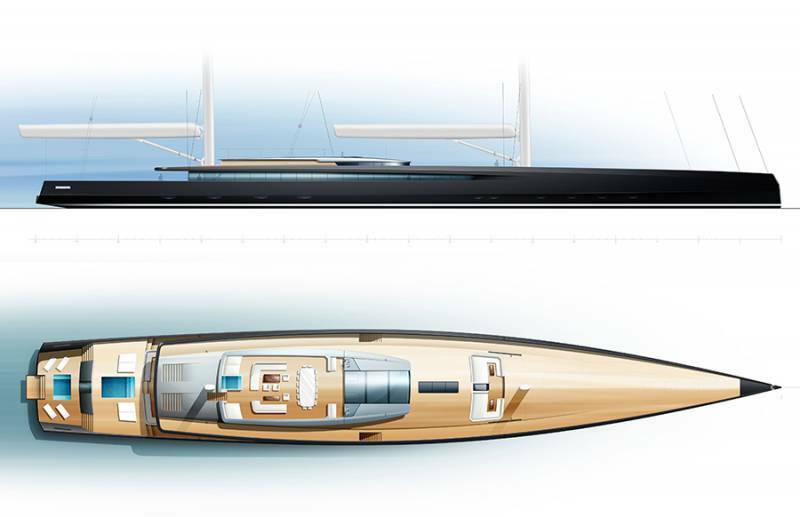 Originally built of steel hull and superstructure, Aspire features a 9-metre beam and 3-metre draft. She can acommodate up to 12 guests in 6 cabins and staff of 11 with an interior design by Andrea Pezzini and an exterior design by Blue Fin Yachts. The master suite sits on the upper deck and comprises a private study, walk-in closets and his and her ensuite baths. The guest rooms meanwhile are located on the main deck. Other features on-board include a Jacuzzi and alfresco dining zone on the sky lounge aft. The sundeck meanwhile represents a wellness area, with the aft deck space intended for exercise classes and yoga. Aspire is listed for sale asking € 10,900,000 with SSH Maritime.